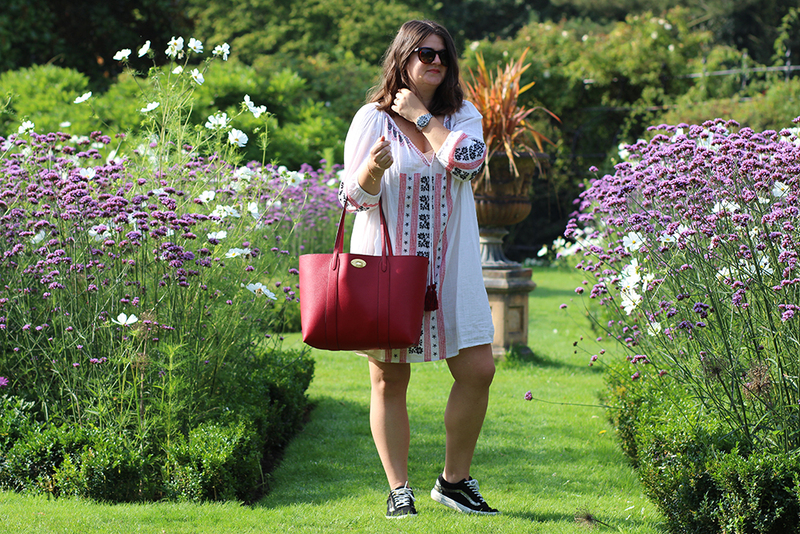 What’s In My Mulberry Bag? Who else embraces the back to school feeling by stocking up on new stationery, organising the house and investing in a new season trophy bag buy? Guilty. 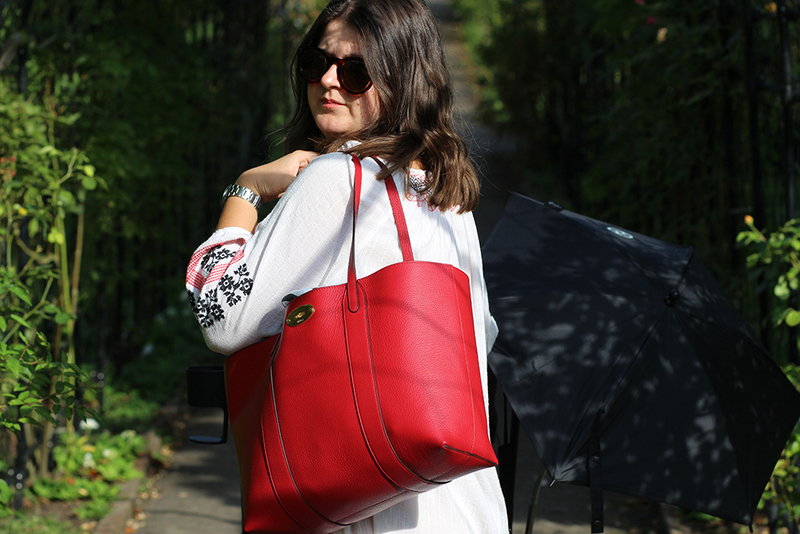 Hi there scarlet Mulberry Bayswater tote, nice to see you. That new school term, new season anticipation is the best, especially when it comes to updating the wardrobe and I’ve found my AW17 match in this reinvention of a Mulberry classic. 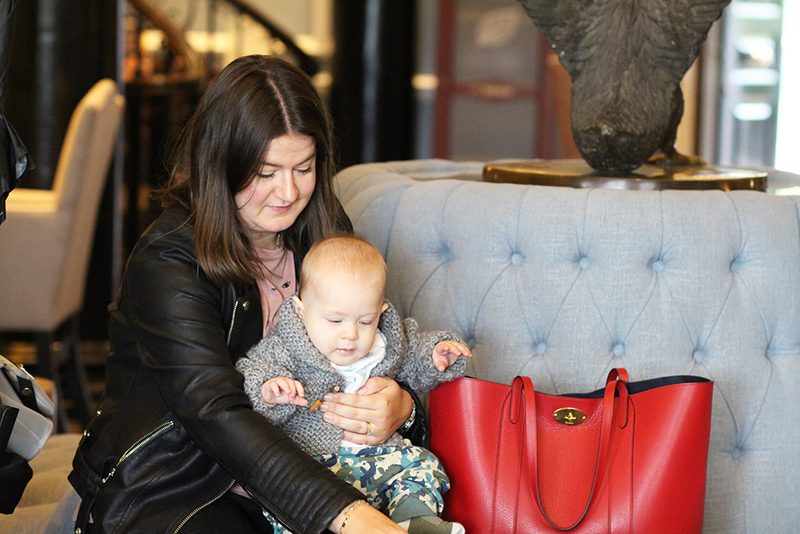 This latest video delves into what’s inside my new handbag favourite, proving that just because you’re a mum, it needn’t mean ruling out all style credentials by using a plain old changing bag. See me run through everything I’m carrying around with me right now to keep Hector (and mama) happy. Toys, sippy cup, lipstick, snacks, perfume, eye cream and more. 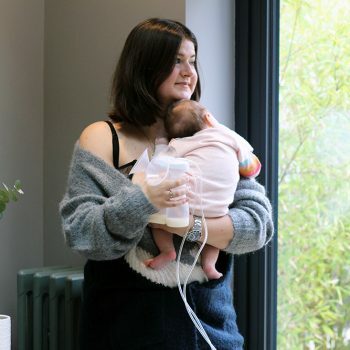 Now, for all the mums and mums-to-be out there who think splashing out on a trophy bag is a waste of time because you’ll just end up chucking your purse and keys into the nappy bag and throw it under the pram anyway, hear me out. 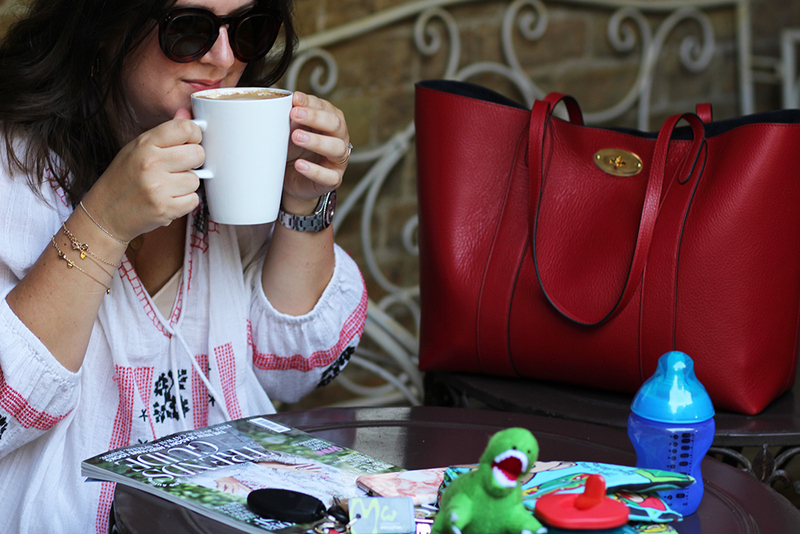 You see, I’m on a mission to show every other mama out there that they needn’t neglect their arm candy favourites in favour of a mum-specific ‘compartment for this and a compartment for that’ bag. Firstly, who uses the compartments anyway? Not me! And secondly, you’re not going to walk into a meeting or restaurant with a changing bag thrown over your arm and feel particularly put together, right? 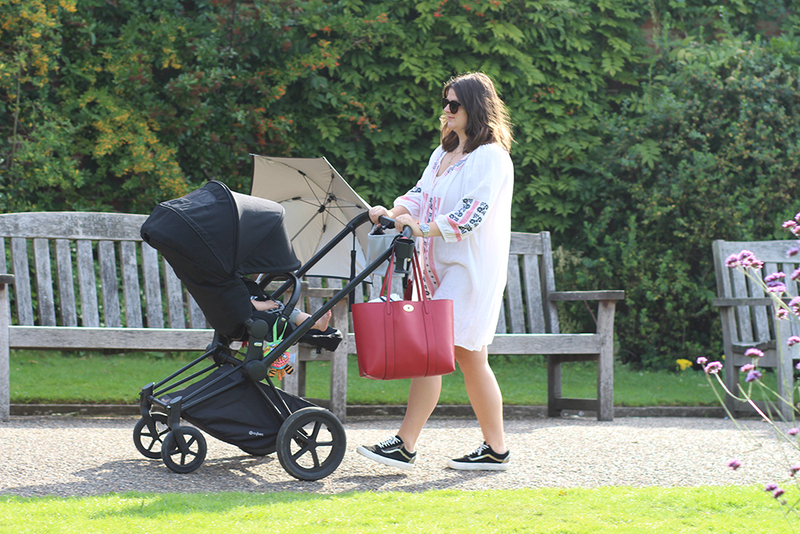 So have a rummage through your bag collection and zone in on the roomy styles that can double up as perfect storage for all of your bubba bit and bobs. 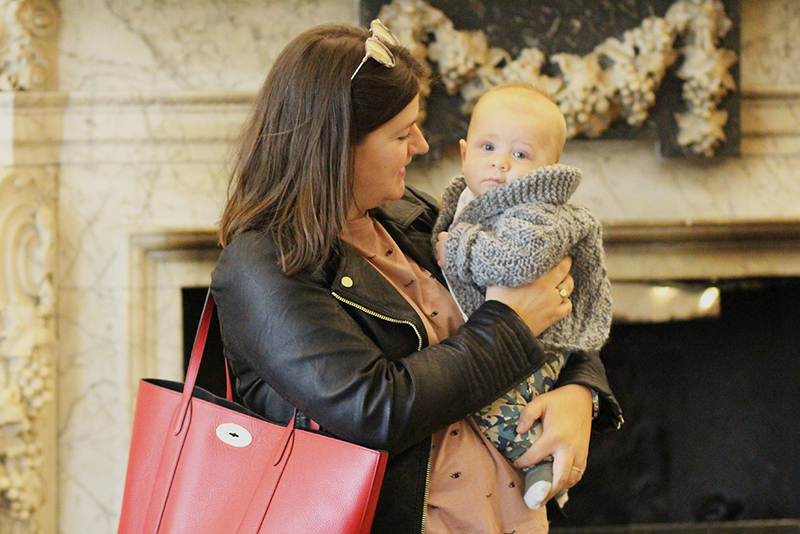 The spacious tote’s work best, but bucket bags, scoops and large satchels are definitely on the approved-list for top alternative nappy bags too. 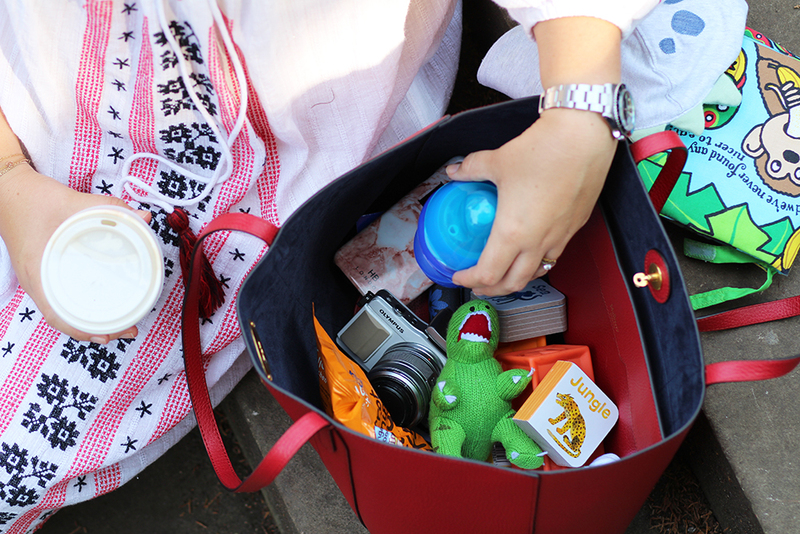 Hands up, for the full-on family days out, I do tend to lean towards a practical changing bag to stash mine and Hector’s essentials. Most of the time it’s Tiba and Marl’s unisex Elwood backpack in the black finish. 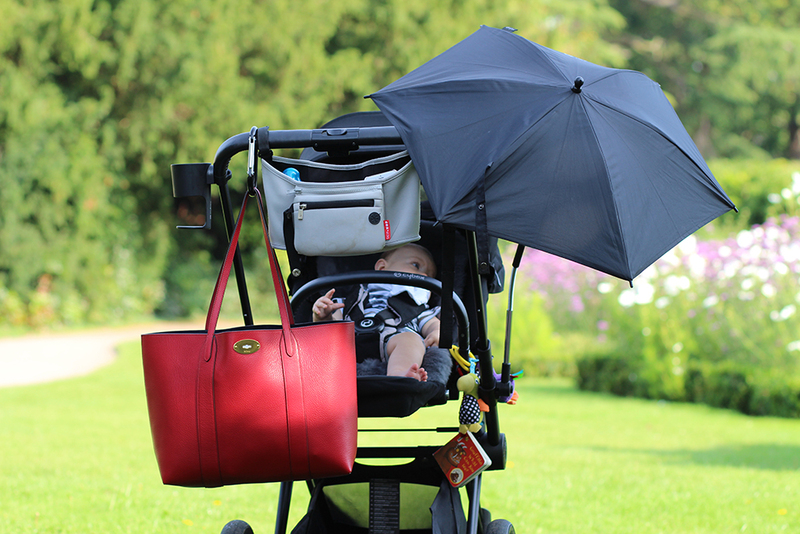 It fits well under the pram and my husband will happily carry it too. But a lot of the time when it’s just supermarket, coffee run, play dates, meeting up with friends and taking a work meeting with Hector in tow, I want to feel a little more put together and a lot more more like my old pre-baby self. I’ve found the key is to forget about relegating my original bag collection to the wardrobe shelves while navigating the pregnancy and new mum years, and instead, use them all to supplement my changing bag stash. When I was prepping for the arrival of our baby (more on that here), I snapped up five changing bags in total. FIVE. Ridiculous, I know. I use the Tiba and Marl Elwood rucksack a lot, that’s been a success for sure. And there’s a second Tiba and Marl, the quilted Raf that I use if we’re travelling, or going away overnight. It’s Hector’s delegated bag for immediate clothing, toys, milk, food, snacks and so on, the bits and bobs I know I need to have to hand in the car or when we arrive at friends or families houses. It cancels out the need to rummage through all of the main luggage just to find a dribble bib. Then there’s the two Cath Kidston additions. Cath changing bags are nice and compact, easy for throwing under the pram and they always look striking clipped onto the handlebars too as the prints are so pretty. (Check out the new leopard flower print nappy bag by Cath – very nice). 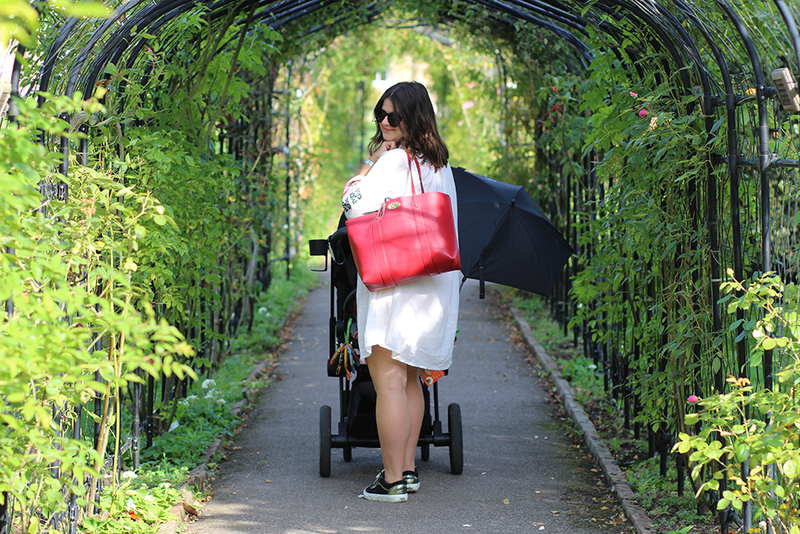 Finally, I picked up a Cybex one (the same brand as Hector’s pram) at a Cybex Priam pram launch, which prompted me to always check out the bags on offer from all of the big baby travel labels. Many have ones to match pram fabrics. So you see mama, you have options! While I’m on the subject of top nappy bag buys, do have a look at Jem and Bea too, I love what those lovely ladies are doing and it’s probably the only changing bag label I don’t have in my collection. 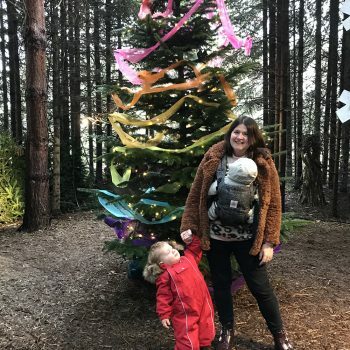 So to recap, seven months since he was born, there’s only really one I use – the Tiba and Marl backpack – and that only comes out with me a couple of times a week. In reality, I throw Hector’s bits and bobs into my regular handbag and for autumn/winter 2017 the Mulberry Bayswater Tote fits the bill nicely. Job done. Ridiculously roomy, it has a super handy detachable envelope clutch/wallet inside that press studs on. Clever – 2 bags in 1. The scarlet colour I have here has a really gorgeous blue lining. There’s nine shades to choose from and you’ll be totally amazed by how much you can actually fit in this bag – watch the video because you’ll be shocked what I managed to squeeze in there. I’m also running through some of the key items Hector loves at the moment, including the toys I take out and about with me to keep him happy (aka distracted), what he’s snacking on, chewing on, the works. The straps are a good length so the bag doesn’t hit the wheels like some totes can (annoying!) Simply clip onto your pram clip or chunky carabiner (I use the John Lewis Little Life Buggy Clip) and it also fits quite well underneath in the shopping bucket, but I throw so many groceries under there and am terrible at cleaning it out so will avoid for now – wouldn’t want to mark the lovely red leather so early on in its life! 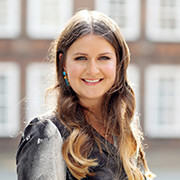 If you’re pregnant and finding getting dressed a total chore, I feel you! 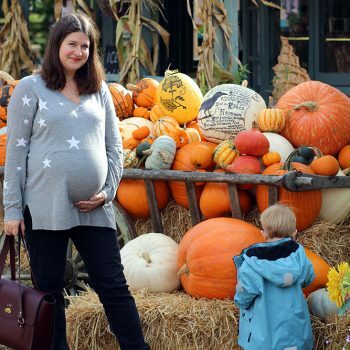 Go stick the kettle on, put your feet up and snuggle up with bump while taking a glance at What To Wear When You’re Pregnant – you just might find it quite handy.